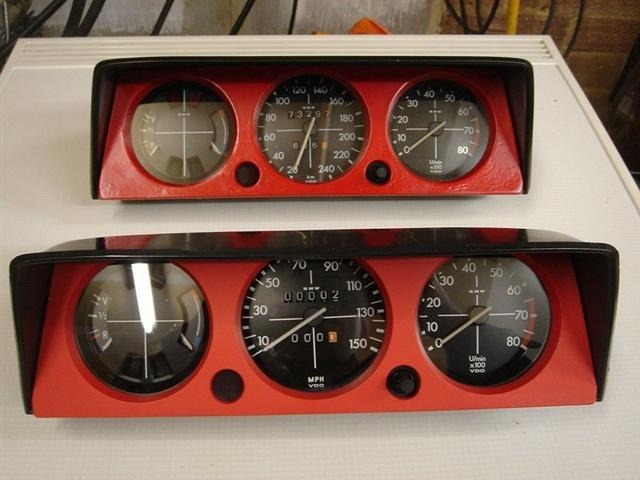 I've seen some turbos with the VDO gauges being bright red, yet other cars are a darker red almost brownish. Did they have two different productions? Or is one set restored or faded from time? Wellllll, yes and no and both. The first picture is my current dash. the car has been stored indoors since 1983 and yet the "paint" has degraded, cracking and showing white underneath. The second picture, rear cluster shows how someone has tried to copy the paint, and it shows. Byron has done this, but I haven't seen his work. The third picture shows a NOS NIB cluster. The thing of note is that it is not just the color of the paint, but it is textured and not glossy but matte. I can say that this is not a "one off" since I have found a "secret stash" of these and all 5 of them are the same. My intention is to have the units scanned so the color, matte, and texture can be archived for the future. I t appears that your second picture is an aging cluster as the color tends to go dull and reddish, right before it degrades into the white plastic substrate. I can't tell if your first picture is repainted or not, but the color seems a bit too vibrant. Now the other paint question is did anyone scan the steering wheel paint for color and matte? A Greek eBay seller has those (NOS) from time to time. I've got a NOS steering wheel that has always been boxed....how would I go about getting it scanned? You have to call professional automotive paint supply stores and ask if they have a scanner, much like when you go to a home paint store. Here in the S.F. Bay area, the closest one to me is 40 miles away, and they make up paints and can put them in high quality spray cans or small quantities for air brushing or guns. Otherwise, the paint technician will make up small batches and paint them on over the existing paint to eventually make a match. On the steering wheel, the amount of gloss or matte is as important as the shade of black....at least to me. But the scanner doesn't measure gloss / matte, just the color shade, correct? I don't know as I haven't gone to the store. I imagine that they should be able to tell from the reflectance which is an indicator of gloss, no? 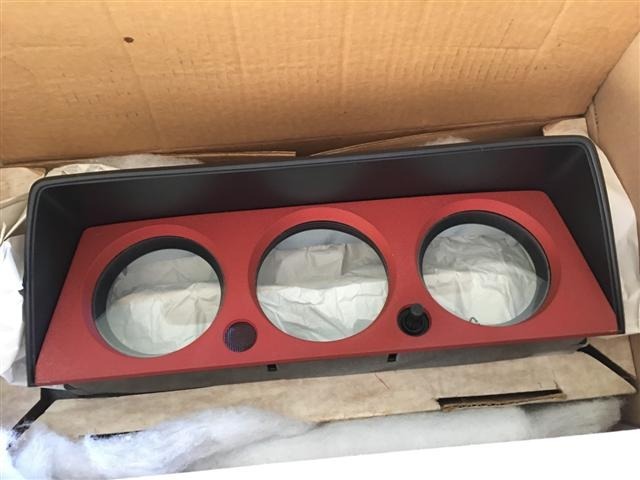 Anyone got one of these spare available for me to buy or can anyone advise exact color to re-paint at all ? Yes. I am asking $1000. + shipping. 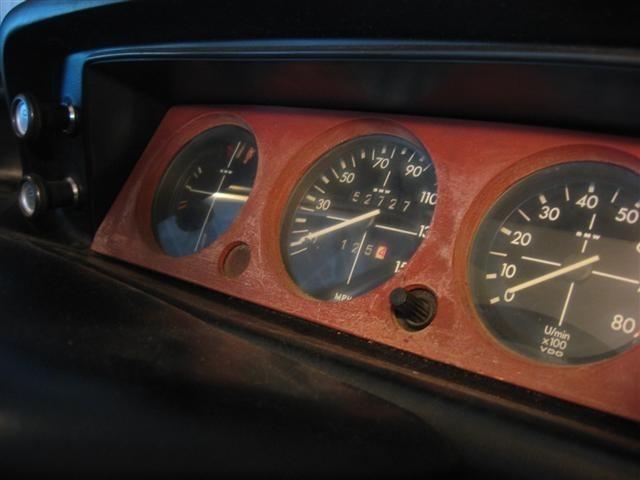 Has anyone used wood stain rather than paint to re-furbish/color the Turbo dash, reading the restoration book it says they were stained and not painted ? It's black plastic - difficult if not impossible to stain. I am sure paint is fine....you could make one quite easily by sanding back the late style lux wood effect part and a bit of spray paint. Much more difficult to fake is the Speedo...especially the mph Speedo.